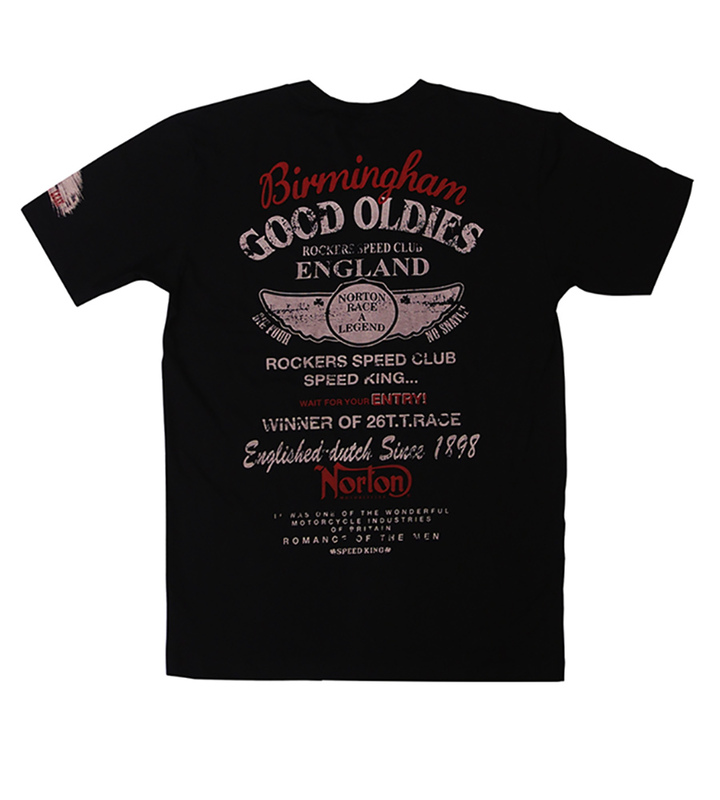 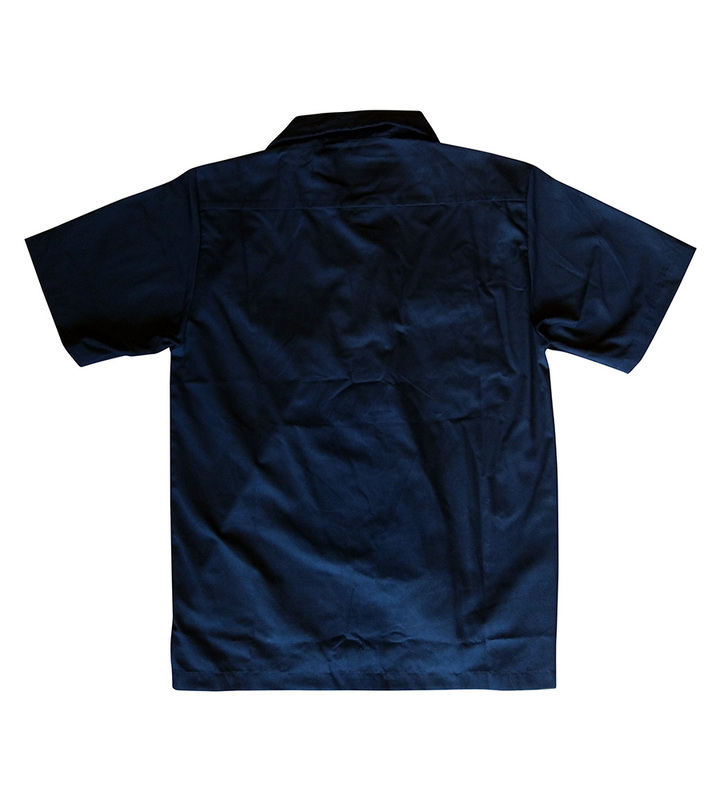 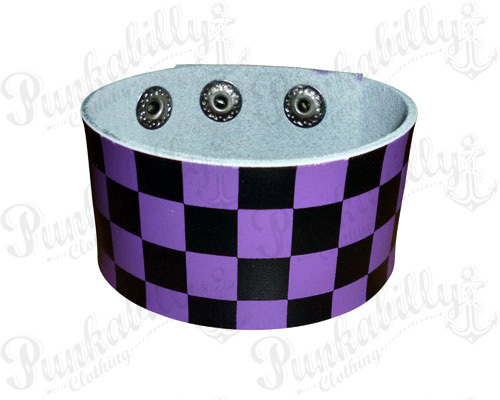 For all the boys who're looking for a different fashion, here's a unique rockabilly T-shirt just for you. 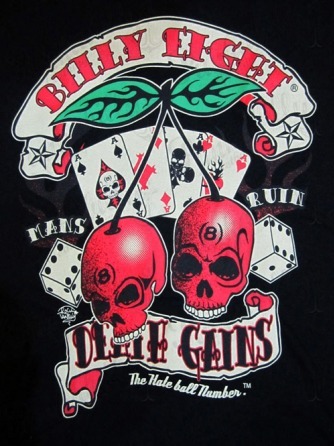 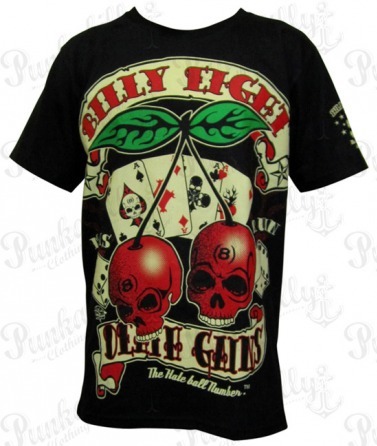 Black model comes with a large colorful print of playing cards, dices, cherry skulls and signs like "Mans Ruin". 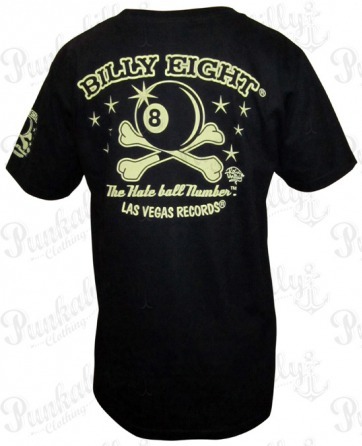 There's also a big Billy eight logo print on the back side.